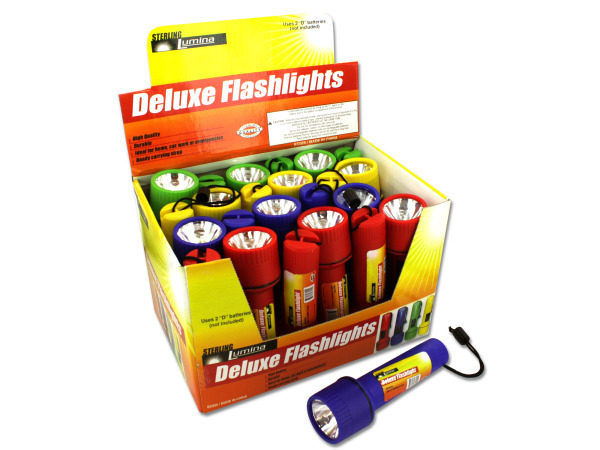 Deluxe flashlights are ideal for cars, closets, garages or even emergency kits. Each flashlight has a sliding on/off switch and a nylon hanging strap to keep flashlight secure in hand. Comes in a convenient shelf display and has 6 of each color: yellow, red, blue and green. Uses two "D" batteries (not included). Each flashlight measures nearly 7 1/2".